It's a new month and that means new Japanese learning resources to sharpen your language skills. 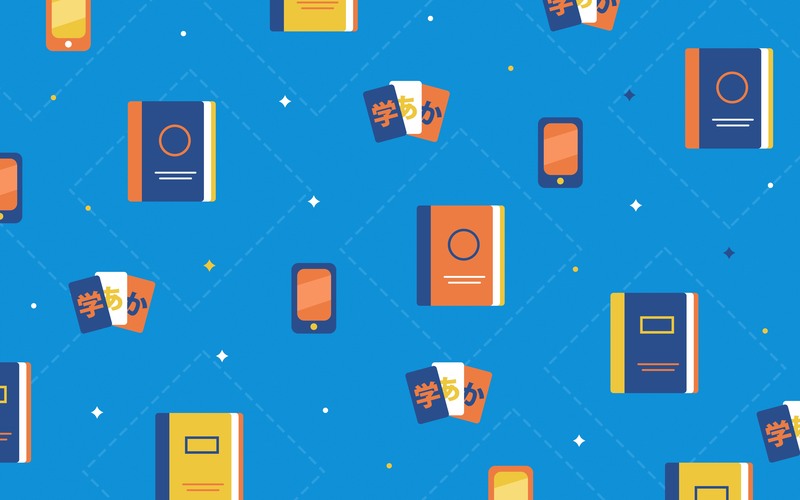 Every month we make a new list of resources to help you become a Japanese master, everything from browser extensions, to apps, to books, to board games. April gave us more new content than we've ever seen, so we're changing the format up a bit. Instead of limiting the list to five solid, curated resources, we're going all out and offering some extras "bonus" resources too. Let's get started! "It's here! It's here!" the entire Internet yelled on May 18th. 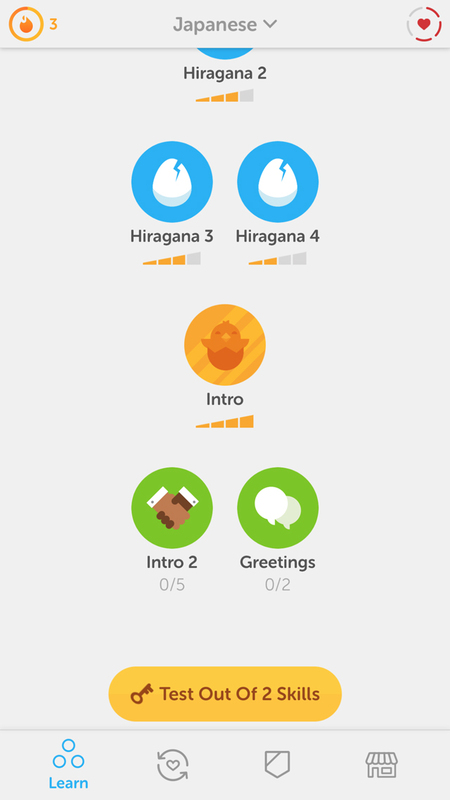 If you weren't on Earth at the time, Duolingo's much anticipated Japanese course was released on iOS after what felt like ages. 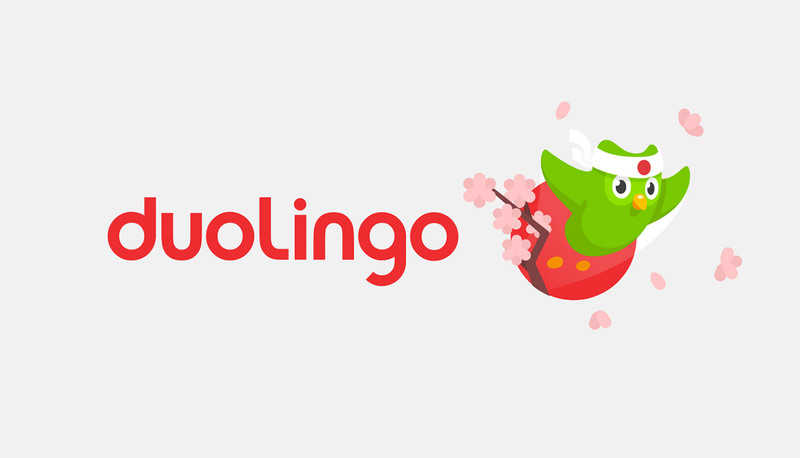 If you aren't familiar, Duolingo is a language learning site for a ton of different languages, from Italian to Portuguese to Irish to Hebrew. And best of all, it's all free! Lessons evolve and change as you progress and you have to go back and review old material to make sure you're not forgetting anything. Instead of lessons explaining "this is past tense" or "this is a verb," they use your knowledge of (in this case) English and let you intuit what you're learning. This promotes active learning, rather than passive. It also gets rid of the boring "book-learning" style many resources use. So if you hate traditional textbooks, this could be your way to get a foot in the door of any language. In the Japanese course they teach hiragana, katakana, kanji, vocabulary, sentence structure, and grammar through themes like Activity, Directions, Objects, Food, Clothes, Shopping, and Classroom. Each section builds on the last, using vocabulary and grammar patterns you've already learned. And if you aren't a complete beginner, you have the ability to test out of lesson batches instead of working your way through them manually. As with any new product, there are some errors in the course, so make sure to report them on the app when you find them. The best way to make a free course better is with tons of user feedback. Another bummer is there is no spoken element on the user end, unlike most language courses on Duolingo. Language courses like Spanish, French, and Italian have you speak into your microphone to practice your pronunciation, but the Japanese course has no spoken feedback. Hopefully this feature will be added in the future, but for now it's focused on writing and listening. All in all, it's a solid tool for beginners to learn Japanese free. The advanced deck for the Anki alternative Jalup NEXT was also released this month. Jalup NEXT is basically Japanese SRS cards optimized for beginner, intermediate, and now advanced learners looking to boost their reading and listening skills. The teaching method is focused on learning Japanese in context and making connections through the language – instead of thinking in English while you learn, you're meant to start thinking in Japanese as soon as possible. Besides the obvious perk of not having to make your own cards, Jalup NEXT offers full sentences with the ability to click on any phrase, word, or particle – bringing you to a new card with a simpler example and meaning explanation. Each of these cards has natural, native Japanese audio, not just for the parts of speech but for the sentences too. This is a huge improvement over the automated robot voices that these types of decks usually offer (especially if you're an Anki lover). Jalup NEXT offers full sentences with the ability to click on any phrase, word, or particle – bringing you to a new card with a simpler example and meaning explanation. The new advanced deck offers 1,000 new sentence cards, teaching words, context for words with multiple meanings, and reinforcing grammar. It's a ton of content to get through. 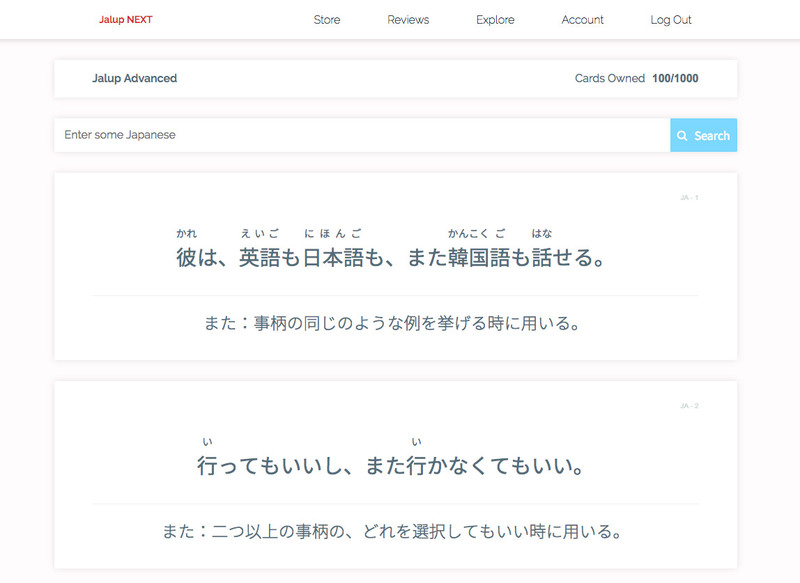 Even more so if you count the 2,000+ beginner and intermediate cards and the 2,300 kanji cards you can also get on the site. If you aren't sure if you're ready to switch from your current flashcard program, or simply don't want to commit to spending money, the first 100 cards in all decks are free. And the very first deck, called "Kana Conqueror" is completely free, so you can make sure you like the teaching style before you buy. And if you do drop some dough, there's a 30-day money back guarantee, so what's not to like about that? Stardew Valley was my favorite game of 2016. It's got all the best parts of Harvest Moon and Animal Crossing, an amazing soundtrack, and tons and tons to do, so it feels like you're never really "finished." It's also incredibly relaxing. And now you can play it in Japanese! I guess dreams do come true. Anyway, Stardew Valley may look like a game that's just about growing and harvesting crops, but it's really about relationships. AND growing and harvesting crops. And taking care of animals. And mining. And cooking. And falling in love. I told you there was a lot! 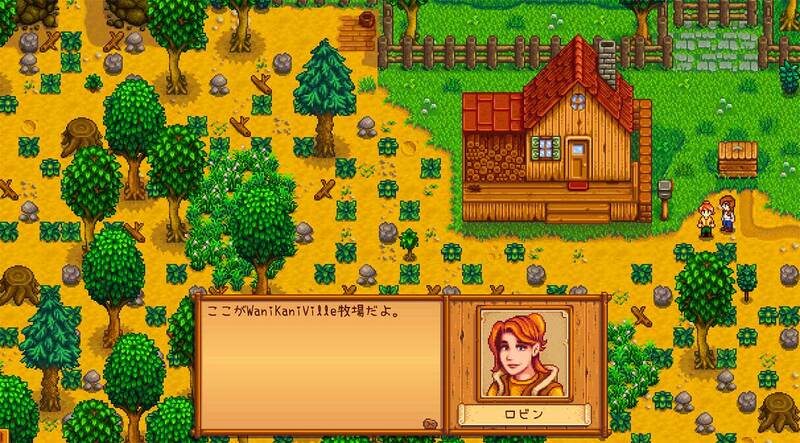 But because it's first and foremost a game about relationships, the new Japanese language mode turns Stardew Valley into a great study tool. Playing the game in Japanese can help you learn the names of crops, food, fish, animals, swords, and hats. You will have to learn how to talk to your neighbors to find out their likes and dislikes. And most of the conversations are simple, easy-to-understand, and more realistic than Japanese games that revolve around supernatural or medieval stuff. Plus, you'll learn game-related vocabulary (inventory, save, go to desktop, etc). Another bonus: the Japanese font is in an easy-to-read "handwritten" style. So if you've only read computer fonts, this can help you mix it up. All in all, Stardew Valley was worth playing before, and being able to play in Japanese makes it even better. Oh, and if you get stuck and decide it's too hard, just switch back to English from the menu until you know what you're supposed to do, then try again when you're ready. Speaking of games with weird supernatural stuff, Persona 5 came out a month or two ago and it's already being lauded as the most stylish game ever. Have you seen the menus? Have you heard the soundtrack? Have you heard the Japanese voice tracks? Wait, you haven't heard that last one? That's probably because the Japanese voice track wasn't exactly advertised and getting it to play isn't intuitive. Japanese is everywhere in this game. Locations, like subways, and shops signs are all left in the original language. If you go to the PlayStation Store on your PS4 you can set the game to play with Japanese audio instead of the default English. All you need to do is download the "Dual Audio Track" DLC and install it. Then from the main menu > system options > config menu you can set the voices to Japanese. From then on, not only will you be saved from the controversial localized dialogue, but you'll be able to practice your Japanese listening skills along with the already very literally translated English game text. More and more games are letting players listen to the Japanese voiceovers, like Zelda: Breath of the Wild two months ago. Persona 5 has way more dialogue than Zelda and the subject matter can be a little out there, but if there's any series of games I'd describe as "very Japanese" it would be the Persona franchise. Japanese is everywhere in this game. Locations, like subways, and shops signs are all left in the original language. So even if you aren't ready to switch the text and controls completely to Japanese, you can ease your way into playing in the native language with just the audio. Unlike Stardew Valley, Persona 5 is best for passive Japanese learning; it's just kanji in the background and voice tracks. Not understanding these won't stop you from playing, like a game entirely in Japanese would. Still, this is a great way to reinforce what you're already studying. Hearing a character use a word you just learned is adding to life's natural SRS. And seeing a kanji character you looked up the other day in the background of the game gives context and a boost to morale! Netflix has seriously been killing it with the Japanese content lately. Terrace House, Samurai Gourmet, and now Japanese Style Originator. Don't let the title scare you, it isn't a reality show about Japanese fashion trendsetters (but who am I kidding, we'd all watch that, right?). 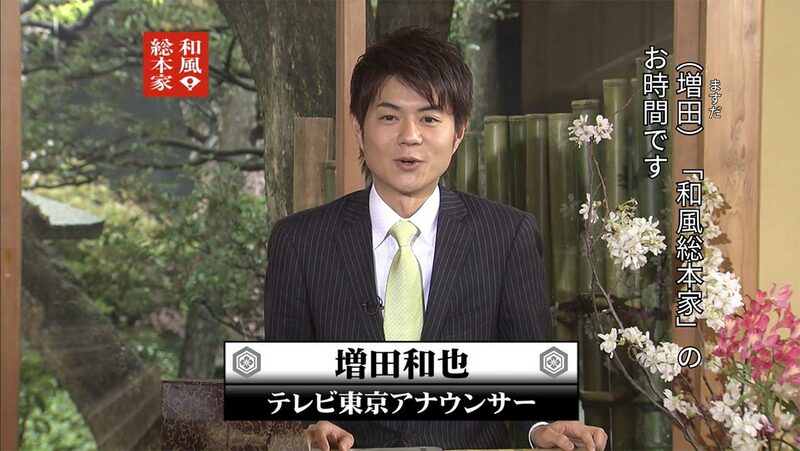 Japanese Style Originator is a show about different aspects of Japanese culture. They talk about traditional food, occupations, and history, with a panel of Japanese people who give opinions and commentate on the content. The panel learns along with you and asks questions and comments the same way you would if you were there. They speak in normal television Japanese, so it's the typical stuff you get if you're used to watching morning programs on Japanese TV. It's not too fast, does not have too much slang, and thanks to the premise, is always educational in some way. It reminded me a bit of the Japanology series by NHK World, but this is easier to access if you have a Netflix subscription. I recommend trying to watch with Japanese subtitles first, and only switch to English to rewatch parts that give you trouble. The show has Japanese, English, Spanish, and Chinese (Simplified and Traditional) subtitles. And as always, I recommend trying to watch with Japanese subtitles first, and only switch to English to rewatch parts that give you trouble. Sadly, there are some episodes missing from Netflix here and there (if you're in the US), but each show is a one-off on a particular subject so you don't have to worry about missing out too much. You can learn about things like tempura, temples, shrines, blue-collar jobs in Tokyo, staying at a Buddhist temple, and seasonal festival foods. So what are you waiting for? Those were the main five resources this month, but some others came out that we wanted to mention, too. Here are three more ways you could supplement your Japanese learning that are too new for us to give a full recommendation. Maybe they'll be great, maybe they'll just be meh. We'll find out together! Nomitalk is a new Youtube channel dedicated to helping supplement listening and speaking practice through videos of natural Japanese conversations had while drinking. They only have two videos so far: one in a bar and one at a hanami party in Yoyogi park. In both, the hosts get the nerve to talk to strangers about various things. They have Japanese, romaji, and English subtitles. The video and sound quality is amazing considering the videos were recorded in busy, loud places like bars and outdoor parties. There's a ton of promise in this channel and we're really hoping they make more content like this soon so everyone can feel more comfortable going out and using their Japanese with real people. I love podcasts. You can listen to them at work, in the car, on the bus, and when you're trying to fall asleep. Podcasts are also a nice way to do some passive learning, so we always try to be on top of the newest Japanese podcasts, especially those aimed at learners. Now, you've probably heard of Bilingual News with Michael and Mami, but there is a new bilingual podcast on the block: Bilingual NY (inspired but not affiliated with Bilingual News). It is very new, it's in its tiny baby stages, but the gist is similar: a native Japanese speaker and a native English speaker have conversations about random topics, switching between both languages, so they can help each other get better. Will it get as good, if not surpass, its inspiration? We have no idea. But it's worth keeping an eye on for now. That said, ili is a step in a very good direction. If all goes well, this kind of "translation tool" could be used to do more, such as storing questions you've asked and turning them into language lessons. In fact, I'm only really excited about this type of tool because a much more advanced version is in production that will do this plus help teach you! But you never know, ili could blow us away in pre-orders and immediately become more advanced than its competitors. We just have to watch and wait. UPDATE: We got an ili, took it to Japan, and did an in-depth review. Read our full ili translator device review to learn more about it. Cost: $189 until June 30th, then $249 after that. Hey there, super cool Japanese learner. Have you found any new Japanese learning resources lately that you can't wait to tell us about? Well, what are you waiting for?! Let us know on Facebook, Twitter (@tofugu), or old fashioned email at hello@tofugu.com. If we like what you send, we might just add it next month (and give you some Internet love in the form of gifs). Anyway, that's all for this month. See you in 30-ish days! バイバイ!